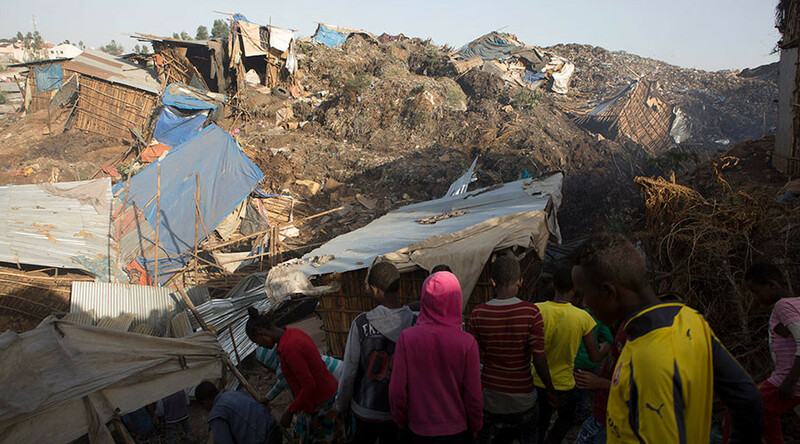 At least 48 people, mostly women and children, died, while dozens are feared to be buried under piles of waste after a colossal rubbish dump outside Ethopia’s capital, Addis Ababa, collapsed on Saturday night, devouring makeshift homes and waste pickers alike. What triggered the landslide at the Koshe landfill that for over 50 years has served as the city’s main garbage dump has not been yet determined. However, local residents suspect the tragedy can be blamed on the recent restart of dumping at the site following a pause that lasted for a few years. “We told them not to dump waste at the top. I think the decision by city officials to resume dumping some months back was the main reason for this accident, which has so far buried at least 20 houses,” Assefa Teklemahimanot, a local resident, said, as cited by Euronews. According to the locals’ estimates, as many as 150 people might have been at the dump as it started crumbling under its own weight. At least 37 people have been pulled from under the trash alive and are receiving treatment, Addis Ababa Mayor Diriba Kuma told AFP. In light of the tragic event, Kuma announced the government envisages a “resettling program” aimed at removing people who are living at and around the dump. 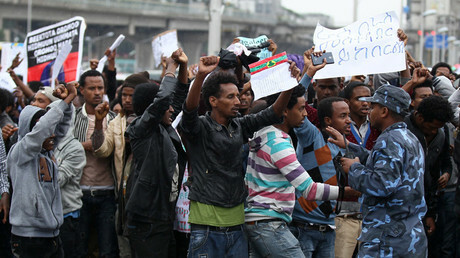 Ethopia’s communications minister, Negeri Lencho, called the collapse “a sad story,” claiming that it occurred at a time the authorities were making efforts to resettle the people living there, as cited by CNN. The site has been chosen for the construction of a waste-to-energy plant, which has been almost finished. It is expected to generate about 25 megawatt hours of power once completed. Assefa told AFP that while the landslides of that scale were unprecedented, there were alarming incidents before the disaster happened, with minor landslides claiming several lives in the past two years. As the rescue teams continue to search for survivors, the authorities expects the death toll to climb further. “We expect the number of victims to increase because the landslide covered a relatively large area,” Dagmawit Moges, head of the city’s communications bureau, said, adding that from those who had been rescued, two have suffered serious injuries while the majority have been already released from the hospital. It is estimated that an average of 500 people, among them many children, collect and sort litter at the dump every earning a living with items they sell. Many of the landfill’s residents were hit hard by the collapse, with their homes damaged and relatives still missing. “My mother and three of my sisters were there when the landslide happened. Now I don’t know the fate of all of them,” local resident Tebeju Asres told AFP, as she was watching heavy equipment brought in to clear out the debris delving into the mud where her house stood. “All my brothers and sisters were rescued but my mother is not answering her phone – she could still be inside that rubble,” another resident, Ruth Tadesee, said, as cited by Nigerian Vanguard News. 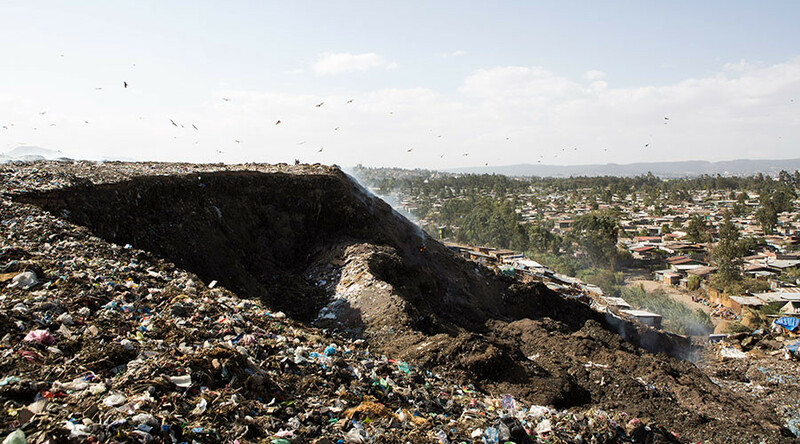 The incident comes as farmers in the nearby region keep staging protests against a brand new Sendafa Landfill located in Oromia Zone, forcing authorities to use the Koshe dump, thus overstretching its capacity. The new waste disposal center is expected to collect waste from more than 3.5 million residents of Addis Ababa and about 200,000 residents of Oromia Zone.